Description: Fateh Sagar Lake said to be the pride of the City of Lakes of Udaipur, it is an artificial lake constructed by Maharana in north of Lake Pichola in 1678 and to the north-west of Udaipur. Fateh Sagar was dug during the reign of Maharana Jai Singh in the year 1678 though Maharaja Fateh Singhji reconstructed the water reservoir after heavy rains destroyed the Fateh Sagar Dam. Fateh Sagar is linked to the Rang Sagar Lake by a water canal. 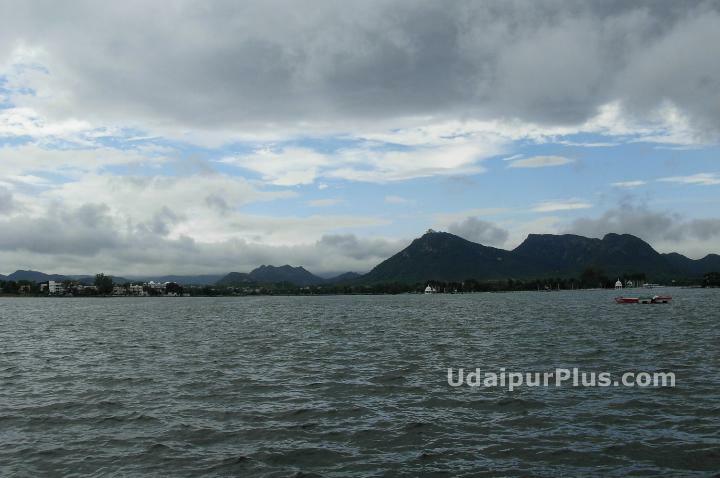 Enjoy a boat cruise on the sparkling Fateh Sagar Lake that overlooks green hills and pleasant Udaipur vistas. One of the major tourist attractions of Udaipur, Rajasthan, India, the Fateh Sagar Lake captivates you with its myriad attractions. Watch spectacular sunsets as you enjoy a luxury boat cruise on the Fateh Sagar Lake in Udaipur, Rajasthan, India. Tour the Nehru Park that is located on the banks of Fateh Sagar and pamper your taste buds at an exotic boat-shaped restaurant located close by.